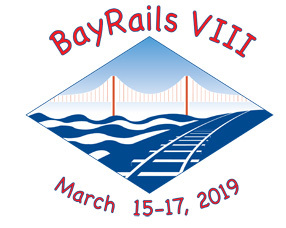 Mark your calendars for BayRails VIII March 15th through 17th 2019, in the San Francisco Bay Area. Note that's Friday through Sunday! We look forward to having you join us for exciting operating sessions and great camaraderie. Operating sessions will be held on Friday, Saturday and Sunday. 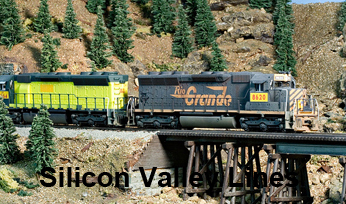 We anticipate about twenty-five railroads will be available for your selection including bonus layouts on Wednesday and Thursday before the main event, located a little further afield. The operating sessions are held during the day and will generally run 4-6 hours with a break for lunch. We will have a social event Friday evening. On Saturday evening we'll be having a dinner at the event hotel. We suggest you plan to arrive not later than Thursday and to depart not earlier than Sunday evening. For those of you flying in, the closest airports to the hotel are San Jose (SJC), Oakland (OAK) and San Francisco (SFO). Amtrak serves Oakland (Emeryville) with the daily California Zephyr between Chicago, IL and Emeryville, CA and the Coast Starlight from Los Angeles or Seattle. Hotel accommodations have been arranged at $129 per night for a standard (two-person) room. These hotel room rates will also be honored for the days preceding and following Bayrails VIII for those who wish to extend their stay. Go to the Hotel Page for additional hotel information. Note that there will be a $20 registration fee to help offset our cost of putting on the event.